To ensure the security of the information, type the code (displayed below) in the box. If you are looking for a competent landscape contractor, TimberRock Enterprises LLC is your best pick. For more than 15 years, we have been providing outstanding landscape and hardscape services to Pennsylvania property owners. We service Allentown, Easton, Bethlehem, Whitehall, Hackettstown, Stewartsville, Nazareth, Morristown, Flemington, Stroudsburg, and surrounding areas. Our range of services includes landscape development, design, installation, and maintenance. We also offer other related services, making us a one-stop company for all your outdoor improvement needs. Whether you are in Allentown, PA or residing in a nearby city, we can surely provide your needed services. Just call 484-764-7175. 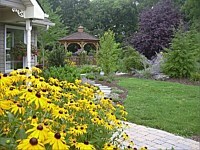 Our custom landscape service is one of the reasons why a lot of Allentown property owners rely on us. We customize our service offerings based on their needs, budget allocation, and preferred landscape features. With this approach, they can efficiently allocate resources and avoid spending beyond their set budget. Landscape design and installation. 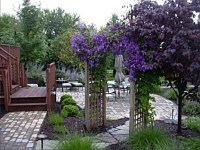 TimberRock Enterprises LLC has extensive experience in landscape design and installation. Our owners, for example, have more than five decades of combined experience in the industry, making us the best landscapers in the state. Our landscape designs are guaranteed one-of-a-kind and stunningly beautiful when installed. Meanwhile, our landscape installation team will ensure the excellent installation of various landscape elements and features. We will follow every detail of the landscape plan and use top quality materials for all landscape amenities. Eco-pools and water features. Water elements have important roles in a landscape. They can make the area more attractive and more comfortable to be at. At TimberRock Enterprises LLC, we don't just create water features. Instead, we create amenities that are friendly to the environment. You can hire us to install eco-pools in your backyard or get our services to build other water features, such as ponds, waterfalls, and fountains. Installation of shade structures. Shade structures are great additions to a landscape. We highly recommend pergolas, pavilions, gazebos, and arbors since they can easily improve the aesthetic and functionality of any outdoor space. We only use premium wood materials to ensure the integrity and durability of our shade structures. Custom woodworking and carpentry. We also have artisans who can create custom woodwork for our Allentown, PA clients. They can design and build wood benches, cabinetry, tables, chairs, and other outdoor furniture. Landscape and lawn maintenance. At TimberRock Enterprises LLC, we offer lawn and landscape maintenance services to property owners who would want to have lush and stunning landscapes all year round. Our premium maintenance services include lawn mowing, trimming and pruning, fertilizing, weed and pest control, core aeration, yard clean-ups, irrigation repair, and other related jobs. At TimberRock Enterprises LLC, our primary aim is to create beautiful and functional outdoor spaces for our clients. We can realize your dream landscape with the help of our creative designers and experienced landscaping personnel. The City of Allentown is known for its beautiful park systems and well-planned communities. 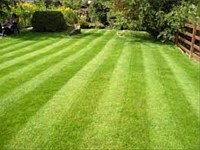 So getting the services of professional landscapers to design and build your landscape becomes a necessity. Dial 484-764-7175 now so we can start discussing the various options for your outdoor space.